Have you ever wondered if God can really hear you? All I ever do is listen to other people. Can you relate? As if your actual job description is “sounding board for other peoples’ problems”? You listen to your family chat away, or you hear about the drama at work for hours at a time. But what about you? You have thoughts and stories to share, but it doesn’t feel like anyone is listening. Not even God. People ask me if mentoring really matters. They don’t see how talking about life with a mentor can make a difference, but in Malachi 3:16-17, we find God enjoys listening in on our conversations. “Then those who feared the Lord spoke with each other, and the Lord listened to what they said. In his presence, a scroll of remembrance was written to record the names of those who feared him and always thought about the honor of his name. “They will be my people,” says the Lord of heaven’s Armies, “on the day when I act in judgment, they will be my own special treasure. I will spare them as a father spares an obedient child” (Malachi 3:16-17, NLT). God cares about what you care about. When you sit down with a brother or sister in Christ to talk about Him, He does more than listen. He writes it down. God takes notes on your conversations. Take a moment for that to sink in. We’re not talking about an award-winning actor or a New York Times bestselling author or the leader of a Fortune 500 company. We’re talking about God, who spoke the sun into the sky, who wove your DNA together, who keeps the universe spinning. He knows your thoughts, your dreams, your future. He can do anything—literally. When you open yourself to another person (especially your mentor) about your faith, share your heart, encourage someone else, confess your weaknesses, or pray with another believer, God pays attention. To you. How does this make your feel? What’s the first thing you would tell God if you knew for sure He was listening? When you make a point to have intentional conversations with others, purposefully honoring God’s name, directing others to His Word, sharing about His power and character, He listens. He hears. God is all about relationships. In the Old Testament, God made a point of building relationships with His followers through signs, prophets, miracles and personal visits. He hasn’t changed. Relationships still come first with God, and He wants you to have a relationship with Him. He also wants you to have mentoring relationships with others believers, too. You don’t have to do life alone. We’ve learned, starting in Malachi 3:16, God cares about your conversations so much He takes notes. Verse 17 tells us He sees you as His most precious jewel, and He values you more than you can imagine. You are a beautiful book in God’s amazing library of grace, and your story has a good ending. God’s Word instructs us to share our story (see Psalm 96:3, and Joel 1:3). Everybody has a story. We all start somewhere, and we’re all on a journey of becoming something different from when we started. Sharing our story with the next generation can be scary at first, but nobody else has lived our lives. How can the next generation grow in their faith and experience God unless you listen, encourage and pour into them and share your God story? As a Mentor to another woman you are presenting the truths in God’s Word and intentionally being present in others’ lives. You are relying on God to move and stretch the other person into becoming the person God created them to be. I believe God is searching for people who are willing to become mentors to the next generation. 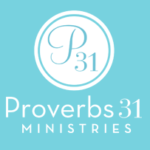 Will you join me on this mentoring journey and begin a new mentoring relationship today? 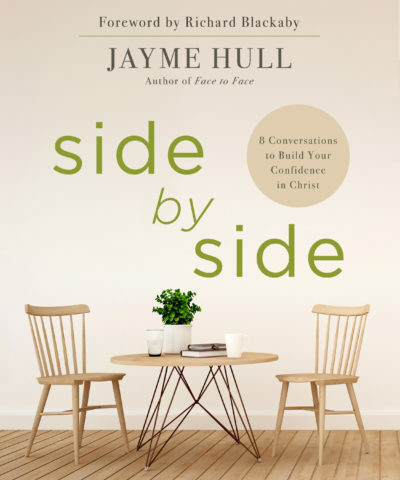 Today’s article is an excerpt from Jayme’s new Bible Study, Side By Side: 8 Conversations To Build Your Confidence In Christ. In this 8-Week study, Jayme provides inspiring stories, specific ways to dig deeper into God’s Word, and discussion questions for conversations to apply to your life and in your mentoring relationship. 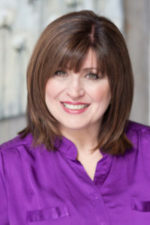 For more on Jayme and her resources to help you grow in your relationship with Christ and others, see www.JaymeLeeHull.com. on Can God Really Hear Me? (A Guest Blog by Jayme Hull). Thank you for your timely posting. I found it to be very inspirational. Keep up the good work! I retired in January and have been waiting on the Lord’s instructions for this next season of my life. This is the third or fourth mention of mentoring that has come across my path. I love confirmation! Praise the Lord, Brenda! Isn’t God good to give us confirmation! Cindi and I are excited to hear all about your mentoring relationships to come. Life will never be the same when you begin pouring into the next generation. Barbara Johnson writes, “God will never lead you where His strength cannot keep you.” Blessings! This is exactly what I feel that I need to be doing in life for the Glory of God, that is to be mentoring other women besides my young 10-year-old daughter (my gift and Angel from God). I’ve gone through some very tough times in my life, such as: (1) almost dying at the age of 15 from osteomyelitis with high fever of 105, which inspired me to grow up and care for others as nurse and caregiver for elderly in homes now; (2) losing my fraternal twin son in 2nd trimester of pregnancy; (3) losing my Dad to Cancer; (4) losing my mom to Parkinson’s Disease; (5) losing my husband when he walked out on me over 3.5 years ago to live with his mother and sister in Burbank IL and still will not come home, But God! We are still married over 15 years, and I am standing firm on the Word of God to see His plans for us and praying for restoration by God the Builder, after uniting with Rejoice Marriage Ministries (RMM) under scriptural guidance from devotions and podcasts by Charlyne and Lori Steinkamp. This 8-week study of Side by Side sounds awesome and exactly what I need to acquire and study and read to help strengthen my walk with Jesus so I can pass this wisdom of God’s Word onto other women, and be a helpful mentor to other ladies going through hard times in their lives that can be much rougher than anything I have ever experienced. I have never been physically or mentally abused. Thank the Lord God, Almighty! I want to help others even though I am going through rough financial hardships, and would love to have in my possession this amazing study guide to pass onto others the strength and wisdom we gain by a stronger faith and walk with Jesus. I would love to leave a legacy before I return home with Jesus of helping women become stronger in their faith and love of Jesus, as well as helping women become stronger in their relationships with their families and friends and neighbors. We all need to love Jesus and each other and care for each other much better than we do – as Jesus commands in the Bible and His Words of Wisdom throughout the greatest book of instructions for our lives. Praise God for people like you who accomplish this! Thank you, Carol, for your kind words. God has given you many experiences to gain wisdom and a closer relationship with Him that you can pass on to others. I’m excited to hear what He does in your life — and in the lives of others — through mentoring. Carol what an amazing testimony of God’s love and grace. Thank you for sharing your God stories with us. I know without a doubt, you will be a blessing to the next generation as you share your stories and listen to the hearts of the hurting. Please don’t hesitate to begin a mentoring relationship. Pray and then begin watching for the hand of God to work. He will always guide you through every step. Hi Jayme, thank you for your blog! Yes. I have wondered if God ever listens to my prayers. Through my experiences in my life, I can say God as always been present. He has given me new strength and wisdom, although He is not finished with me. When we are truly connected with our creator, we know we have nothing to fear. But we are also human and we sometimes fall short. I agree with what you say here, we all have a testimony. One that can be of a lifesaver to others to bring them closer to God. And we don’t need a title to be able to transmit this message. God is my title, He is gives us the power and authority when we know who we truly are in Him. Without thinking we are more than anyone else because we are all equal in His eyes, Amen. Truth is, there has to be a genuine love in us to see everyone as a brother or sister, knowing that as we do on to others, we are doing onto Him. To be willing to spend time and build a relationship with our Father in heaven and know that despite our circumstances or trials God always uses it for good to those who love Him. Love is all we need to encourage and help one another to seek Him in truth and in faith. Thank you again for your blog, and YES! God hears me, He lives in me and walks with me wherever I go! His Love is a love that never changes. Thank you, Marizela, for your passionate response. It sounds like you are or would be a wonderful mentor to younger women who cross your path. Marizela, be encouraged! God is listening to your conversations and your prayers. Thank you for all of your kind words. Mentoring is so simple; all we do as a mentor is listen, share our God stories, and encourage others. I’m certain you will be challenged and blessed with the Side By Side Bible Study. Many Blessings! I’m not sure at this point in my life I could mentor someone else. I still need to build a deeper relationship with God. I have a hard time seeing what his plan is at this point in my life. I have to trust God and just submit all my concerns to Him. God knows what is going on and what purpose it is supposed to serve. Right now I know that my fears and concerns are bringing me closer to God. I need to claim His promises and let them soak into my soul. Thank you, Jan, for your humble, transparent comment. We all feel unqualified at times. Yet God sees our heart and can use so much more than we even feel we have to offer when we give it to Him unreservedly. Keep submitting your heart to Him and He will open your eyes to opportunities all around you. Blessings to you, my friend. Oh friend and sister in Christ. Be encouraged. God sees you and hears your heart. Carol, you are not alone. All of us have times where we forget to listen and simultaneously feel unheard. I know God has a wonderful plan for you. He sees and hears your willingness to be so truthful and vulnerable with Him and others. 1 Samuel 16:7: “God does not see the same way people see, people look at the outside of a person but God looks at the heart.” God is listening to you and He cares. You are His masterpiece. Be encouraged. You are loved. I’m praying for you! to love and share. My heart is focused on this younger generation that is coming up being torn with the evil of this world. My husband Is presently being looked at as becoming the pastor of a hurting church. I’m praying if this God’s will for him to Pastor this church, He will equip me to mentor these hurting ladies. Psalm 71:18,”Now also when I am old and gray headed O God, forsake me not; until I have shewed thy strength unto this generation, and thy power to everyone that is to come.” I am 54 and God gave this new life’s verse to me to challenge me to continue to press forward, being the example Jesus desires and leading other ladies into growth from the experiences and teaching that God has so graciously given me. I have a heart to help others and truly want to make my life count for Christ till He returns or calls me Home. The importance of mentoring to the younger generation is of utmost necessity as Truth is being forgotten, and apostasy is prevailing. May we as older ladies come alongside the younger and be their support and teacher. I am a mother of three daughters, the wife of a Connection Group leader, and teacher in a Bible college. Lisa, I just turned 54, as well. So, thank you for that reminder in that verse…I’ll take that as mine, too! 😉 Jayme and I appreciate your heart to serve others. Lisa, thank you for your heart for the Lord and His Kingdom work. I know you are a blessing to your family, community and students. Keep shining for the Lord as you grow and pour into the next generation. Erma Bombeck writes, “When I stand before God at the end of my life, I would hope that I would not have a single bit of talent left, and could say, “I used everything you gave me.” May I add, “for the next generation.” Blessings! Your life is a beautiful book in God’s library of amazing grace. For sure. I have several wonderful mentors. Would love to pay them forward in the library. Thanks, Sherry! Good to hear from you on the blog. You’ve had several wonderful mentors and you, I’m sure, are a wonderful mentor to many and you don’t even know it yet. Keep telling your story and lives will be impacted. Thanks for your heart to minister to others. Thanks, Connie, for that reminder that we can pray boldly for our children and others and God is so faithful in hearing and answering our prayers. Your son is blessed to have a mom who regularly prays for him. 🙂 Thanks again for your comment. Thanks for sharing, Connie. Yes! God is Faithful and True. Your son is blessed to have a praying Mom. One day soon, he will truly realize he is blessed by your prayers and share it with you and others. One of my favorite verses for our children is Lamentations 2:19 “Arise, cry out in the night, as the watches of the night begin; pour out your heart like water in the presence of the Lord. Lift up your hands to him for the lives of your children…” Keep praying. There is power in prayer. I love the statement that God cares about our conversations and he takes notes. I know His Word is filled with hope and love, but I never saw Malachi 3: 16 & 17 like this before. Thank you!!! So good to hear from you Sherrill. Glad you were encouraged by Jayme’s post. Thank you for sharing that story of yours, too. Precious. I’m so blessed by your comments. Thanks for sharing, Sherrill. I love your heart for others and your ministry to the broken hearted. I’m thankful you were inspired by Malachi 3 and will include this verse on your ministry’s Bible verse list. Be blessed! This is just what I have been thinking about the Lord. He sit’s with me, he holds my hand…..and give’s me answer’s in His timing! I’m Soo glad you shared this!! I try to answer like God would like me to. Thanks, Theresa, for taking the time to leave a comment. Glad you were encouraged. Theresa, I’m glad you were blessed! I know the Lord loves your daily quiet time with Him. James 4:8 “Draw near to God and He will draw near to you.” Thanks for sharing! Does God listen to us? Oh, yes! And I know He listens because He answers. My mentee and I started meeting earlier this month and the first meetings have been “getting to know each other” times. As I’ve been praying for our relationship I’m asking God, “What next?” and then up pops this email! Thanks! Thank you, my precious readers, for your comments. Jayme and I loved them all. Congratulations to Sherrill Marino and Lisa Hale for winning copies of Jayme’s study, Side by Side. Watch for more ways to win free books coming up soon on my blog.